We have so many superheroes here in our country as featured by Mars Ravelo, Carlo J Caparas and more. We have Darna, Captain Barbell, Lastikman, Panday and more but none of them were featured yet in an American or internartional Comic publishers like DC, Marvel, Image Comics, Dark Horse and more. Philippines were mentioned a lot of times in comics published by these iconic companies but we rarely see an actual hero who is actually a pure blooded Filipino. 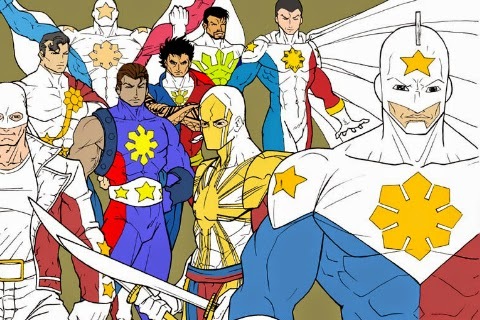 So I did a research online and it is actually nice to find out that we have some superheroes who has Filipino roots. 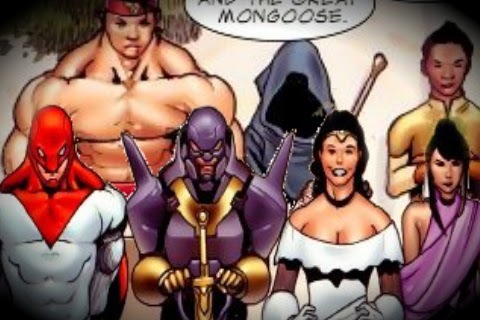 Listed below are five Filipino Superheroes featured by American Comic Publishers. Enjoy! 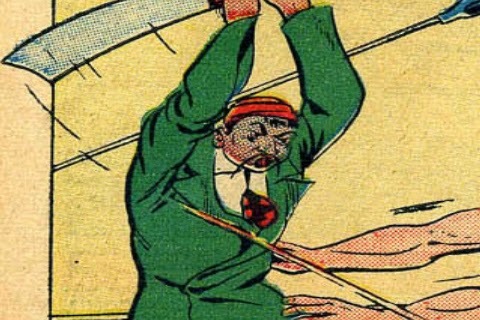 Ginaldo made a very brief appearance in Marvel Comic Mystery (#26 and #27 in particular) opposing against The Patriot whose alter ego is Jeffrey Mace who later became as Captain America. Even though he looks more like a Chinese to me, his name and his weapon are actually good enough to convince us that he is indeed a Filipino. He is described as a Filipino assassin during the second World War. An agent of Imperial Japan hired Ginaldo to travel to the States to eliminate Curtis (a US Lieutenant). Ginaldo was armed with a traditional Filipino fighting weapon "Bolo" but was knocked down by Patriot. Apart from his skillful Bolo-wielding ability, Ginaldo is also known to be highly resistant to pain. Manuel Lago is not just a small time hero but he is actually a very close friend of Barry Allen who is better known as The Flash. He is the first ever recurring Filipino character in DC comics who appeared in numerous appearances in DC New Universe which focused on a younger life of Barry Allen before he became the Flash. Manuel Lago is not a naturally born with abilities but he gained his power as a result of the so called Project Bellator. He gained an self regeneration ability which allows him to heal any injury , including regrowing lost limbs. It also increased his strength and resilience beyond that of any man and was intended to turn him into an unstoppable one man army. As a side effect of this regenerative ability any part of his body that is removed can grow into a full grown duplicate of Manuel complete with his skills and knowledge and sharing a psychic link with each other and Manuel, their 'father'. The duplicates have varying demeanors and personalities but all share an affinity for that who they spawned from. Marvel comics featured not just one but a group of pure blooded Filipino superheroes in one of its chapters (Invincible Iron Man #2). The Triumph Division is the premier super group of the Philippines. According to Filipino tradition, their superhero names are passed down from generation to generation ever since. Unfortunately, the group died immediately after a terror attack perpetrated by agents of Ezekiel Stane who disguised themselves as monks. The group was lead by Red Feather (super speed and flight), St George (super strength and high tech sword wielding skills), Mighty Mother, Anitun (wind and rain based powers), Fighter One, The Wishing Man, and Great Mongoose. Thor and Iron Man even attended their funerals to pay respect for these heroes. Salvador Joel Alonday who is better known in his code name as Grail is actually a part of Philippine Army Scout ranger and after showcasing his skills, Jackson Dane was impressed and invited him to join his team known as the Team 7 who later called the Wetworks. Like all members of Wetworks, Grail is bonded to a symbiote which normally hides inside him, but can flow out to coat his skin with a golden (or, in Grail's case, pale blue) armour. Grail has numerous special superhero skills including invulnerability, enhanced strength and reflexes, telephaty, Chi state (which gives him numerous other powers). 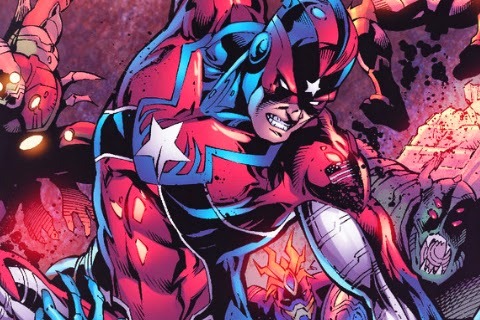 Commander Steel is a superhero character originally portrayed by Henry Heywood and was later adapted by his descendants. 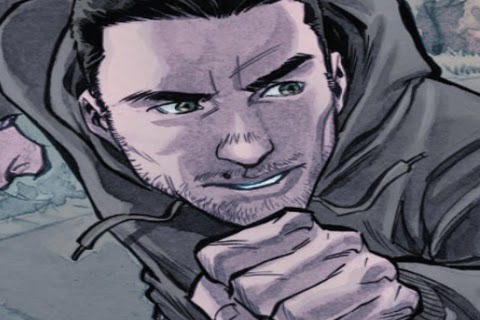 The early versions of Heywood were Americans until a revamp series known as The New 52 was launched introducing a modern version of Hank who is later revealed to be a young Asian man of Filipino descent. Henry Heywood, Jr. was born in the Philippines and suffered from a rare birth defect that would have caused his bones to crumble before he was eighteen. He was saved from his affliction by his scientist father Henry Heywood, Sr. who used a special metal alloy to make his bones stronger by binding with his DNA. 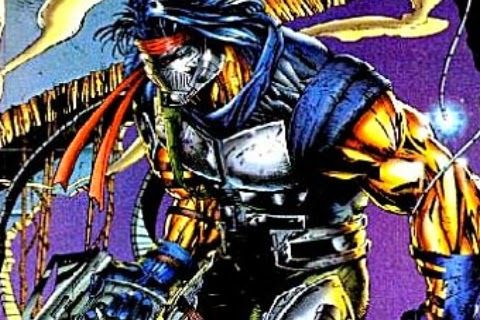 Some of his notable powers and abilities include a unique physiology in which he can turn his body into a metal alloy giving him super strength, invulnerability and mechanokinesis.